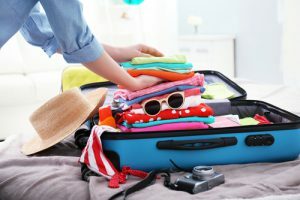 Do you have packing panic? Got the what-to-put-in-my-bags blues? If you’re wondering what to pack with you to bring to the 2018 National PTA Convention & Expo June 21-24 in New Orleans, don’t worry—we’ve got you covered! As the date is quickly approaching, we wanted to share some tips to help you better prepare for your trip. Cardigan/Light Jacket/Sweater: A sweater can be a great accessory to any outfit. While the average temperature in New Orleans will be 80 degrees Fahrenheit (and higher! ), the air conditioning may make things a bit nippy. Make sure you have a cardigan accessible to beat the chill. Reusable Bottle for Water: You can never go wrong with bottled water! To have the maximum amount of fun, it’s important to stay hydrated for moments it gets a little too warm. Chargers (laptop, phone, tablet, etc. ): Make sure to pack chargers for all of the electronic devices you plan on bringing on your trip. It is important to charge all of your devices while you are asleep so you can wake up to a full charge. Consider bringing a portable charger along if you own one, they are great for on-the-go and times of battery crisis. Comfortable shoes: Try not to sacrifice comfort for style. Sometimes networking involves constant walking around and you want to make sure your feet aren’t aching, blistered or just plain worn out. Extra pens, pencils and notepads: Extra pens, pencils and notepads can also be great networking tools when someone around you asks for one. You can never have too many pens and pencils to pass around! Come to New Orleans geared up: ShopPTA.com has a great selection of PTA logo apparel as well as bags, lapel pins, headwear and neckware to show off your PTA spirit this year! Our convention attendees are also invited to bring art supplies to support KID smART’s mission. 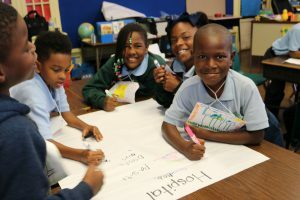 This New Orleans-based nonprofit is dedicated to engaging children in dynamic, creative and rigorous learning through the arts, with the vision to empower all children to unlock their full academic, creative and personal potential. Please consider giving back to KID smART by donating art supplies either in person at PTA Palooza or through KID smART’s Amazon Wishlist. 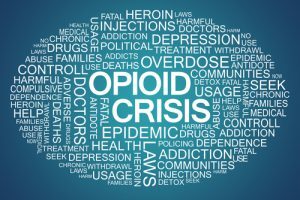 Saron Messay is a contributing writer to National PTA. You may be surprised to learn that this 300-year-old city—the birthplace of jazz and the home of Mardi Gras—is an ideal destination for families with kids. 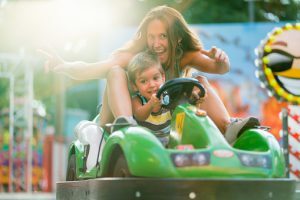 As we gear up for our annual convention, which will be hosted in New Orleans June 21-24, we wanted to make sure you knew about a few of the best kid-friendly things to do in the Big Easy. 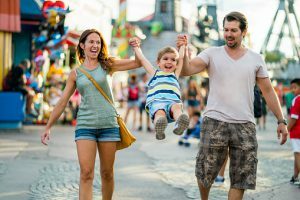 New Orleans is a dynamic city that brings your family amazing culture, food, music, and festivals, in addition to an array of child-friendly activities that you will not be able to find anywhere else. In addition to a very walkable downtown and an excellent streetcar system that will make transportation easy, New Orleans is home to one of the top zoos in the country and historic, cultural sights you won’t find anywhere else. Check out what this amazing destination can offer you and your family during your downtime at #PTACon18. Audubon Zoo offers an exotic mix of animals from around the globe, engaging educational programs, hands-on animal encounters and lush gardens. It’s ranked as one of the top zoos in the country! In the summertime, it even offers a mini water park called the Cool Zoo which you can access for an additional price (not included in the admissions fee). City Park features a wide variety of attractions including Storyland, Carousel Gardens Amusement Park, a Sculpture Garden, the New Orleans Botanical Garden, the New Orleans Museum of Art, a train, lots of playgrounds and even Morning Call, a delicious beignet stand. Take your kids to tour this massive warehouse where they’ll get a behind-the-scenes look at the costumes, floats and parade paraphernalia of Mardi Gras. Jackson Square is surrounded by gorgeous historic buildings located in the heart of the French Quarter. Kids love the spot for its street performers, picturesque benches (perfect for a picnic lunch), and delicious beignets at nearby Cafe du Monde. 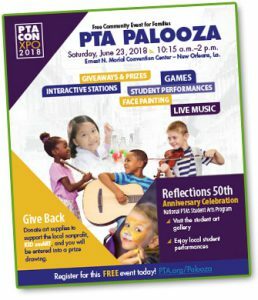 Check out this exciting, brand-new event during the PTA Convention in New Orleans, Saturday, June 23 from 10:15 a.m. – 2 p.m. You’ll get to meet more than 100 exhibitors in the school and family category offering hands-on activities, roaming entertainment by a stilt walker and magician, and face painting for everyone! For even more ideas, visit Curbed New Orleans’ Family Guide to the Big Easy. PTA Palooza?! What’s that you say? We’re bringing New Orleans to you in our Expo Hall at the 2018 National PTA Convention & Expo! Don’t miss this free, family-friendly community event. So, what the heck is a PTA Palooza? An exciting, brand-new event during the PTA Convention in New Orleans occurring Saturday, June 23 from 10:15 a.m. – 2 p.m.
Chock-full of fun and local flair, PTA Palooza will feature more than 100 exhibitors in the school and family category offering hands-on activities, roaming entertainment by a stilt walker and magician, and face painting for everyone! New Orleans-style gumbo and even alligator sausage will be available for purchase to really get you in the local spirit. If the spicy local flavors aren’t enough, a Second Line band and Mardi Gras Indian will be on stage as well as Make Music NOLA, to keep our toes tapping throughout the event. And while you there, come and make a Mardi Gras mask, get a signed autograph from Aidan Anderson and check out the swag at the PTA Store! Example of use: We hope to see you at PTA Palooza for a day of family fun! PTA Palooza is a free event open to everyone! Register now (for Palooza only) at PTA.org/Palooza. Register for the entire 2018 National PTA Convention & Expo at PTA.org/Convention. Jennifer Bradley is the manager of corporate alliances for National PTA. 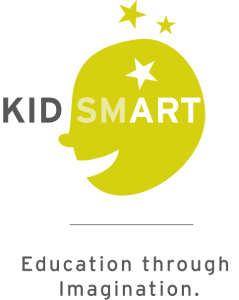 This year at our 2018 Convention & Expo, National PTA has made a commitment to the arts by supporting New Orleans-based nonprofit KID smART in their work to engage children in dynamic, creative and rigorous learning through the arts. KID smART was created in 1999 in response to the decreasing availability of arts education in local public schools with the vision to empower all children to unlock their full academic, creative and personal potential. Their current focus is arts integration—linking instruction in the arts with instruction in the academic curriculum to increase students’ academic achievement, build their critical thinking skills, foster creativity and imagination and enhance their social and emotional growth. 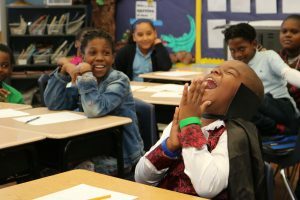 In a KID smART classroom, students might learn the water cycle through dance, understand fractions by mixing paint colors or explore complex vocabulary words through pantomime. The learning is rigorous and dynamic; it is designed to engage students with a variety of learning styles and abilities so that all may excel. Working alongside others to advocate for the arts and broaden the conversation around the definition of student achievement. As you can imagine, serving over 3,000 students and 800 teachers annually with a limited budget, KID smART is in need of art supplies. This is where you come in! Please consider donating art supplies either online or in person at the 2018 National PTA Convention & Expo in New Orleans, where KID smART will be showcasing Louisiana mask-making traditions through a fun, hands-on mask-making activity. Drop by during PTA Palooza on Saturday, June 23 from 10:15 a.m. to 2 p.m.
To learn more about KID smART, please visit KIDsmart.org. To donate art supplies online, check out KID smART’s Amazon Wish List. Thank you for your support in giving back to this wonderful organization. Amy Weinberg is the manager of programs and partnerships for National PTA.